If you are looking into a new truck scale and wondering where to put your new scale, one thing that you might look at is your property. Some areas don’t have access for power to be ran to the truck scale in order to run the equipment and instruments for weight read out and printing capabilities. Even more, for those digital scoreboards so that the drivers do not have to get out of their truck to read their weights. In a new time of technology and ways of making things happen, we have recently began to invest in the power of solar. When it comes to powering your scale, our high-efficiency solar modules are completely set up for wireless communication. In conjunction with our manufacturer, Cardinal Scales, we utilize the SnapStream Weighing system that harnesses the power of the sun. 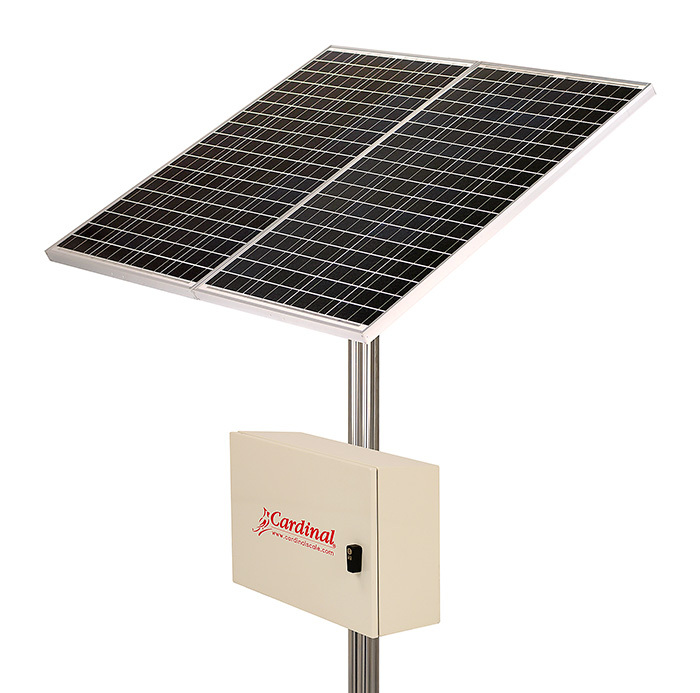 Cardinal’s Solar Power Kits greatly enhance SnapStream truck scale installations by offering completely wireless weighing and they alleviate the need for any power lines to be run to the scale. No matter how remote the location, power is now available for scale installations via the kit’s battery-operated power supply with 135-watt solar charger. The solar power kit requires high efficiency AGM batteries (not included) or readily-available deep-cycle lead-acid batteries. SCHEDULE YOUR ON-SITE EVALUATION TODAY! It is an easy process to see what you need. First you will meet with one of our scale professionals in order to determine the layout and help decide the location of your scale. 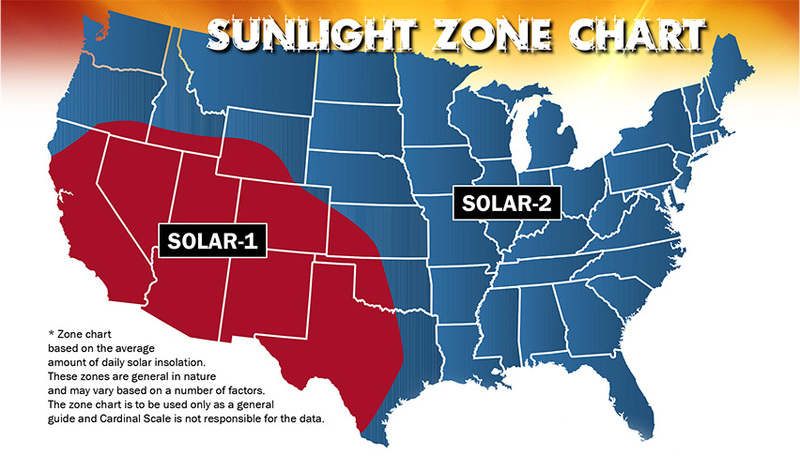 Then you may determine if model SOLAR-1 (one panel) or SOLAR-2 (two panels) is necessary for your site based on daily sunlight conditions for your area using the zone chart found in this handy guide. Please download the chart in this 2 page document about solar technology by clicking the map above. All of this is possible with no more trench runs for power lines to the scale. The UV stabilized, aesthetically-pleasing black anodized solar panel frame and battery-operated power supply with solar charger is all you need. The battery selection is based on a number of factors that are completely dependent on the scale set-up you choose. Any of the SnapStream series scale systems will only require one battery if the battery is rated at 140 amps per hour or more. Two batteries would be required if each battery is rated at less than 140 amps per hour. According to our manufacturer, we recommend two batteries per SnapStream system to ensure a steady supply of power.